For those of you in a hurry, and not able to devote the time you need in your day to reading a blog post here at Food Truck Empire, we’ll make it easy for you. Can you start a buffet business out of your house? No. No, you can’t. Feel free to continue serving meals buffet style to uncles and cousins at family gatherings, however. Can You Start a Legit Buffet Business at Home? That’s a hard no. Buffet restaurants continue to be a high-performing segment of the food business, and we totally understand your interest in starting one. Buffet restaurants offer an insanely high perceived value to the customer, some of whom are convinced they’ll be able break the system, when it comes to all-you-can-eat food at a fixed price. 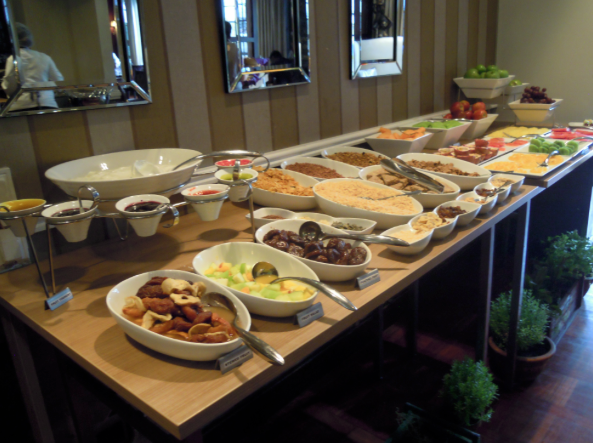 Buffet restaurants also offer a little bit of something for almost every type of dining customer, making buffets a great option for indecisive or finicky guests. Best of all, buffet restaurants operate with higher margins and lower food costs than you might expect, thanks in part due to savings in decreased staffing and very low waste. Of course, the unique needs of operating a commercial kitchen to scale as a buffet restaurant are significant. You’ll need to be able to prepare large quantities of food, provide adequate storage for that food and its prep items, install adequate plumbing and dishwashing services, install dedicated hand wash sinks and equipment for the additional regulatory requirements, and have sufficient equipment for cooking all of that food. Even if your home kitchen passes muster from a logistical and practical perspective, there’s still the health department to contend with. In most states, even where it is possible to license a home kitchen for commercial use, there are additional administrative hurdles that must be leapt; in many states, home kitchens licensed for commercial use must be completely separated from the living area of the home, with no cross-pollination between the cooking done at home, and the cooking done for the business. Regular health inspections are necessary, just as they would be in a restaurant kitchen, and for many homes, the physical layout of the home is in itself a barrier to licensing. Begin by paying a visit to your local Chamber of Commerce, or use a website like City Data to pull some basic demographic information for your city or town. You’ll want to start collecting some basic information like the population of your target city, the income demographics, and how much of your population is seasonal. You’ll want to find out how many total restaurants are in operation where you live, including the types of food they serve, and whether there are any existing buffet restaurants in operation. If there aren’t, think about why that might be. If there WERE buffet restaurants that failed and closed, try and track down the previous owners for their perspectives on what went wrong. Talk to friends and family about your idea, and gauge their reactions carefully. They’ll want to be supportive of your dream, but they may also have important insights into why a buffet restaurant might not be right for your area. Consider setting up a Facebook page for your proposed business, and soliciting feedback from the community you plan to serve. Buffet restaurants are virtually limitless in their opportunity to present any kind of food you’d like to your community. 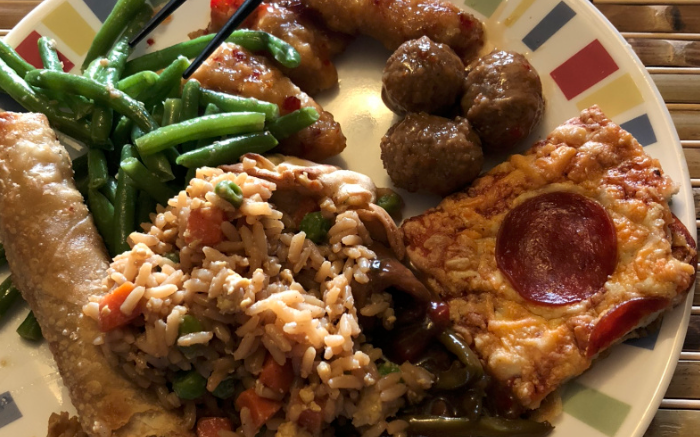 While Chinese buffets may be the most common, buffet restaurants serving American comfort food, Indian cuisine, or even pizza can all be developed into successful enterprises. Consider not just what you like to cook and eat, but which types of foods may have their own built-in food cost savings; Chinese food is popular, for example, because small amounts of less-than-prime proteins can be disguised with intensely flavorful sauces, and can be prepared in gigantic quantities. A Buffet Gives You a Smorgasbord of Eating Options. Brainstorming business names can be one of the most fun parts of dreaming about your new venture. Begin by making a list of every name you can think of, without paying too much attention to which ones might actually work, or assigning values to the ideas like “good” or “bad.” Consider names that are unique, and if it suits you, includes a pun or play on words. Don’t be scared or embarrassed of the ideas that don’t seem like they’d work; they may lead you to think up other, better versions. When you have a name, it’s time to start thinking of a logo for your signage and business cards. Consider consulting with an outside expert on this; many young designers looking to build experience can help you inexpensively flesh out your ideas, and offer a finished product that is comparable in quality to the higher-end studios that will invoice you for $200 just for answering your phone call. We all know that for any hope of landing financing from a bank or private investors, we need a rock-solid business plan with cost and profitability projections. But shaping your rough idea into the shell of a business plan early will help you to clarify some of your ideas about the project, and may present challenges (or opportunities!) that you hadn’t considered, before you put pen to paper. A solid piece of business plan software provides a great place to start; many allow you to construct a business plan through a simple set of questions and answers, and will guide you appropriately through some of the areas you may not have considered. In order to prepare and serve food to the public, you’re going to need licenses. Lots of licenses. In many states, you’ll need to register with your taxation authority. You’ll need to obtain a license at the state level, and may need an additional license in your local municipality. Many states require food vendors to obtain a Safe Food Handling Certificate, and you’ll need to obtain a good general liability insurance policy that covers your business, your employees, and your customers in the case of accidental illness. Finally, you’ll want to consider the corporate structure for launching your business; while you can operate as a Sole Proprietor, most businesses will need the additional liability protections built into an LLC or Corporate structure. Get on the phone, and start making some calls. Even if it’s not practical to launch a new buffet business out of your home, there are plenty of steps you can take to begin turning your dreams into reality. As with the launch of any new food business, the most important things are to stay focused, be creative, and take the steps you need to transform your nebulous, “Maybe someday…” ideas into something tangible and with a clear path for moving forward. Tens of thousands of people just like you have launched successful buffet businesses, and just because you can’t do it from home, doesn’t mean you can’t do it.